Week 3 of or Summer 2016 CAL!! I love this hat and hope you do too!! 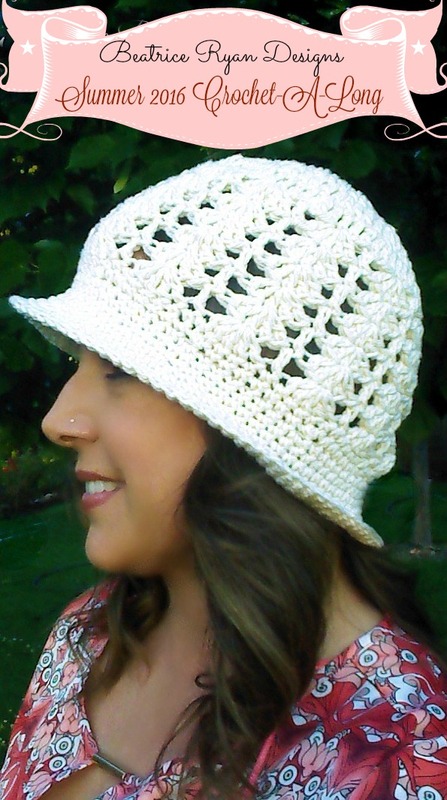 This week we will be crocheting the brim and shaping the hat… Let’s get started!! Finish off and weave in tail. To shape your hat… With your hands on the inside of the hat, slightly press in an outward motion with each hand in an opposite direction… Move around the inside of your hat slightly stretching it… Next place the hat on your head and slightly pull the brim in an outward direction with the middle rows of the brim… Moving around the brim until the size and shape are suitable. To see a visual tutorial you can watch my Facebook Live Video titled Summer 2016 CAL… Week 2 Chat! If you would like to make the brim wider add additional rows after row 17. Then continue with the rest of the pattern. Thank you for joining me for this years Summer 2016 Crochet Along!!! I hope you enjoy your hat!!! Make sure to join me next week on Facebook for my Live Video Broadcast and share your CAL Photos! !